Progressives are not happy that organized labor has effectively squashed Rep. Alexandria Ocasio-Cortez’s Green New Deal. 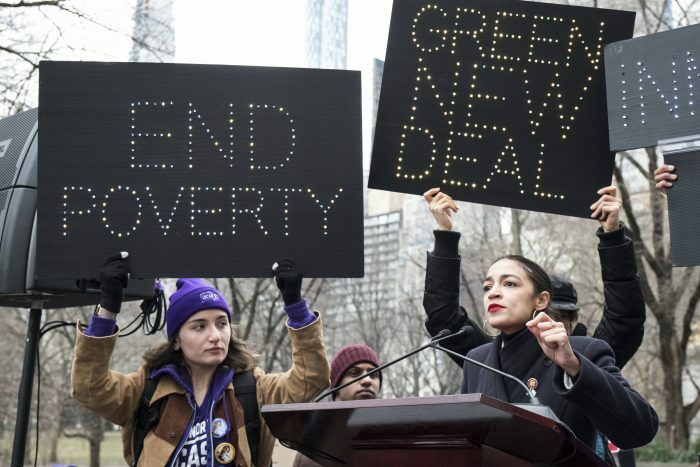 When freshman Congresswoman Alexandria Ocasio-Cortez introduced her Green New Deal in February, it was immediately (and expectedly) lampooned by the political right. However, it was also (and rather unexpectedly) criticized by some on the political left, most notably Democrat Speaker of the House Nancy Pelosi and, as well, the powerful AFL-CIO. Now, however, progressives are pushing back at the unions. “This is a fundamentally shortsighted choice—for workers, for organized labor, and for the planet,” Sen writes. Like many progressives, it seems that Sen fails to understand that a union’s primary job is to represent its members’ jobs and the Green New Deal puts many of those jobs in jeopardy.